I think I have finally taught my desktop the word “Voronoi.” If you are blog follower, you know that I have an ongoing obsession with this mathematical construction. Voronoi diagrams are used throughout mathematics, the sciences, architecture, and even art. While it is hard to capture in a sentence, let’s say that Voronoi diagrams describe relationships of things to each other. Getting inky with my favorite colors and my newly created plate. 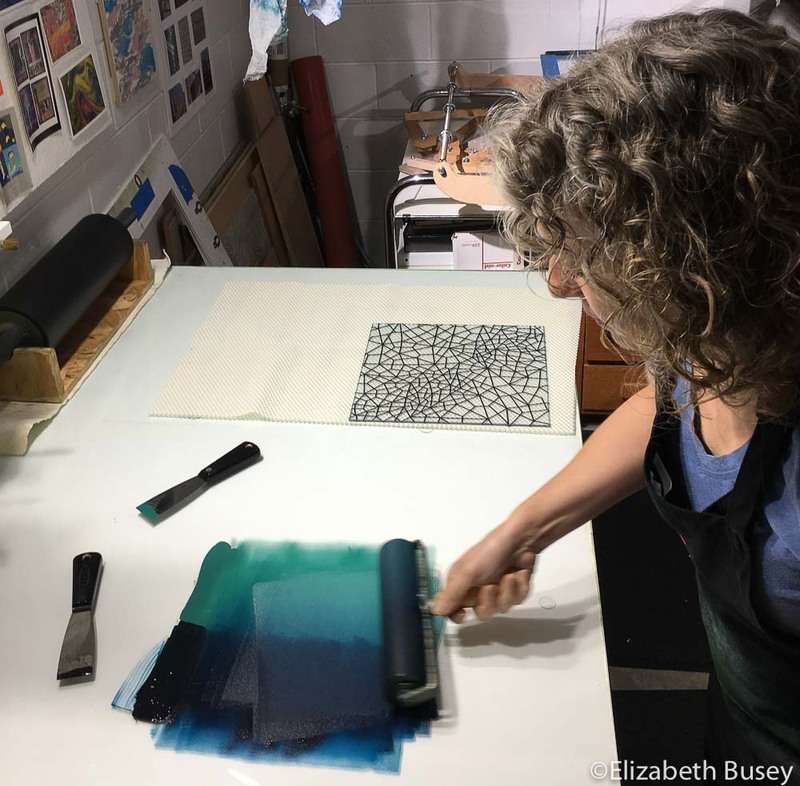 This entry was posted in Monoprinting and tagged creating, meditative, monoprinting, tape, Voronoi diagram on October 12, 2018 by Elizabeth Busey.